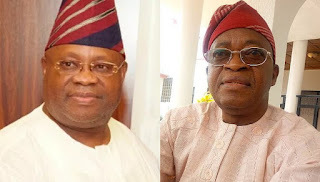 The tribunal sitting in Abuja on Tuesday informed both parties to the case that it would give judgement on the Adeleke ’s petition against Oyetola of the APC on Friday. A statement by the Osun State chairman of the PDP , Mr Soji Adagunodo , directed members of the party to fast and pray on Thursday ahead of the ruling. Sources told our correspondent that a PDP group on Tuesday commenced a three- day fasting and prayer for divine intervention in the judgement. “Our prayer will surely be answered because God is not unjust . We believe in the efficacy of prayer . Since we are on the right side of justice , victory is guaranteed.